Superdry women's Adrianna smocked dress. This dress features lace detailing on the straps and hem, a smocked body to fit and flatter any shape, a silicone gripper band and pockets in the side seam. Finished with a Superdry metal logo badge above the hem. 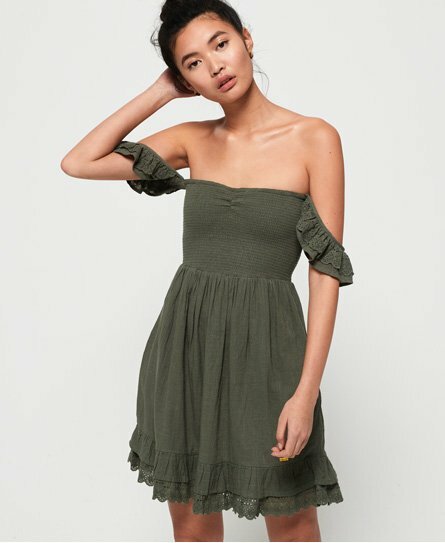 This smocked dress can be dressed down with a pair of sandals or dressed up with a pair of heels.